MADISON, WI – The American Council of Engineering Companies of Wisconsin presented the 2016 Engineering Excellence Grand Award to Applied Technologies Inc. and the Madison Metropolitan Sewerage District for Phosphorus Recovery at the Madison Metropolitan Sewerage District. 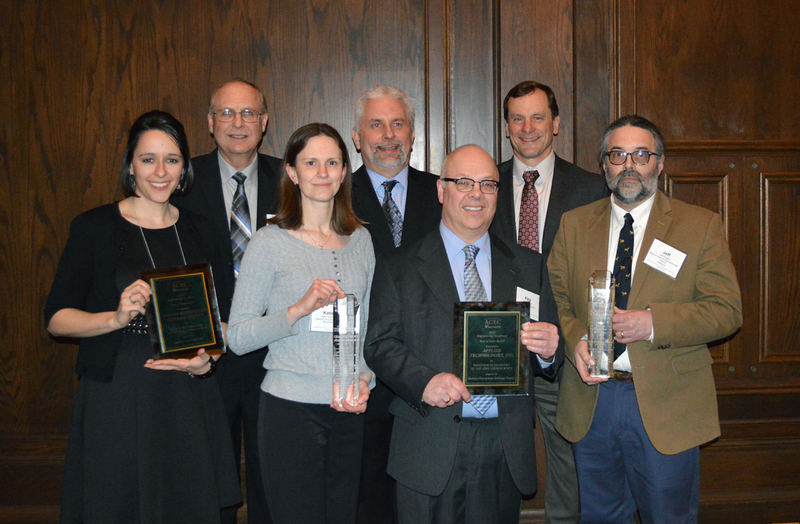 The Grand Award was presented to the project team during American Council of Engineering Companies of Wisconsin Awards Banquet on Friday, March 18, 2016. The Madison Metropolitan Sewerage District has aimed to reduce waste and generate revenue during each of its operational expansion projects. The increasing population of the area, combined with new environmental standards, makes wastewater plant improvement a constant concern. The facility’s previous designs were insufficient to achieve all of these goals and a new design was necessary. Applied Technologies began the project by looking at the issues with the old expansions. In the past, severe foaming and insufficient heating shuttered the client’s attempts to produce Class A biosolids. This class of biosolids means that the materials can be used in commercial fertilizers, with the benefit of being able to sell these phosphorus-based products to a wide market. The design team shifted the existing digestion system to a multi-stage acid process that eliminated many of the heating issues. In addition, the acid process created an environment of consistent temperatures that eliminated the foaming that plagued the previous process. To achieve the Class A designation necessary for wide sale of the waste products, Applied Technologies needed to reduce struvite scaling that would foul up the biosolids. The use of volatile fatty acids promotes the recovery of phosphorus which is a critical component of the biosolids and reduces struvite. Through innovative design, Applied Technologies was able to turn waste into revenue. The complete redesign of the previous digestion system addressed the issues that had plagued the facility in the past. The Class A designation was a major goal of the client and through the use of a multi-stage acid digestion process, that goal was achieved and the district has a much-needed source of revenue from sales of its biosolids fertilizer. 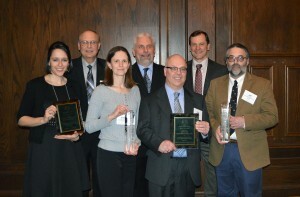 The ACEC WI Engineering Excellence Awards program recognizes and celebrates engineering achievements that demonstrate the highest degree of skill and ingenuity and contribute to the quality of life of Wisconsin citizens. For more information, visit www.acecwi.org.